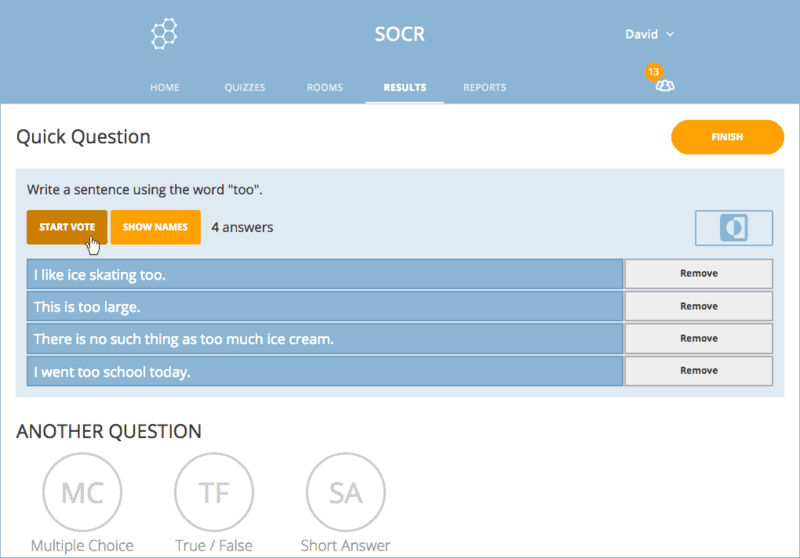 When delivering a Short Answer Quick Question, you have the option to complete the activity with a follow-up vote based on the student answers using whatever criteria you choose. For example, you can have your students vote on the response that they feel is the most valuable or the most incorrect. The results of your student votes will appear on your screen in real time. When your students have finished responding to the Short Answer question, click Start Vote. 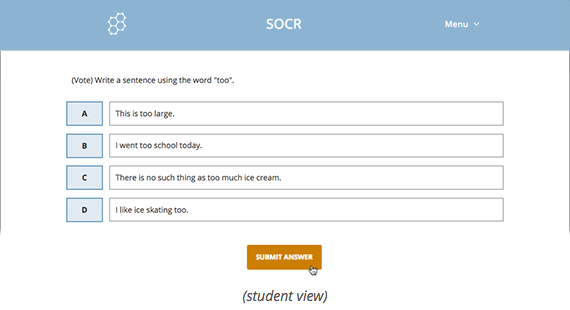 Your students will be presented with the class responses as multiple choice questions. Ask your students to select an answer based on whatever criteria you choose (such as the best or most incorrect response). You'll see the voting results appear on your screen in real time. Note: Students can select multiple answers, but may only submit one vote. When you are done with the voting activity, click Finish; your students can then Log Out or await another question. 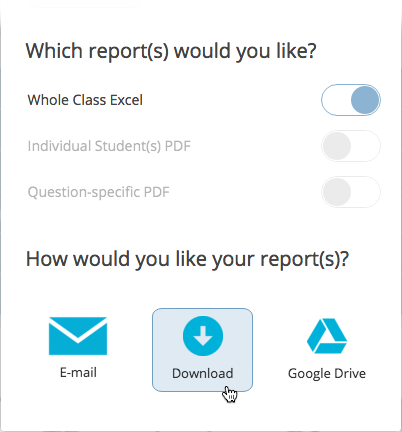 Note: Don't worry if you chose to return To Dashboard, your reports will still be available from Socrative's Reports section.